https://www.instagram.com/__nutmeg__/ - read her comment! https://www.instagram.com/p/Bav88Y-hgij/? - New York here we go! 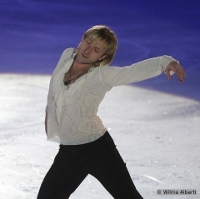 "I saw Plushenko tonight. He was fabulous. What a presence - I’ve never seen a skater with such blazing confidence. He only skated for 6 minutes but it was worth every penny, neck ache (I was in a corner) and minute of my trek into the city. Two 3F right in front of me, 2 other triples in the other end, and a bit of a scratchy 2A that he carried off royally. Wonderful spins and basically just owning the ice. 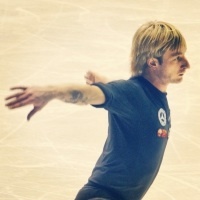 No one else should ever be allowed to skate to Carmina Burana as far as I’m concerned - he owns that too. :) "